It is early morning on April 2 at the SinoPac Financial Holdings headquarters building in Bade Road in Taipei. Ten minutes before the beginning of a highly anticipated briefing, the more than 100 seats are already completely occupied by corporate high-flyers in neatly pressed suits and high-net-worth individuals clutching designer bags. Lawyers who flew in from the Cayman Islands particularly for this briefing on Cayman Islands Economic Substance Legislation for SinoPac VIP customers line up on the stage with their local colleagues, getting ready to help the well-healed audience solve their most pressing taxation problem at the moment. “I went to Ho Chi Minh City last week; the Taiwanese entrepreneurs and the owners of small- and medium-sized enterprises are all talking about this issue. The family clans and companies are all very worried,” says Stephen Ouyang, senior executive vice president of Bank SinoPac, getting right to the point. Virtually no one leaves the three-hour meeting before it ends. Bank SinoPac is not the only financial services firm to be holding special meetings on the new rules of the game in the former tax haven. The four major international accounting firms from KPMG to PwC, Deloitte & Touche and Ernst & Young (EY) have all held similar information meetings. Tickets for a Deloitte & Touche symposium were snatched up in seconds. Since the venue could not accommodate all 300 participants, the event had to be live-streamed to a hastily added conference room. “My colleagues in Hong Kong and the United States asked me whether it was necessary to be so anxious. I told them every single customer is as worked up as ants in a hot pan,” notes Cheli Liaw, tax partner with Deloitte Taiwan with a wry smile. At first glance, Taiwan does not seem to be predisposed for close ties with a far-flung island territory in the western Caribbean Sea that can only be reached from Taipei by stopping over in New York or Los Angeles and then taking another connecting flight from Miami. Andrew Fu, chairman of EY Taiwan, might be able to bring light to this special relationship. Fu estimates that Taiwanese nationals have set up more than 100,000 offshore companies in the Cayman Islands, while twice as many are domiciled in the Virgin Islands, another tax haven with even lower annual fees. The mere size of this offshore business imperium is all the more startling when one considers that less than 700,000 Taiwanese companies are registered with Taiwan’s Ministry of Economic Affairs. Now the clock is ticking for offshore companies after the Cayman Islands set a deadline for implementing the new economic substance requirements. From July 1, offshore companies will have to prove that they have already paid taxes on their income somewhere else. If they do not produce proof of taxes paid, they must prove economic substance, which means renting an office, employing local staff and holding board meetings in the Cayman Islands. Offshore companies that fail to meet the economic substance requirements can be slapped with a fine of US$12,200 in the first year. In year two, the fine will be ten times higher, and the company could be deregistered. “The surface area of the Cayman Islands is roughly the same size as the Penghu Islands. How could an island territory with a population of just 45,000 people have enough employees to satisfy the recruitments need of the Taiwanese companies?” asks Rick Hung, director of the tax & investment department at KPMG Taiwan, incredulously. Like the Cayman Islands, the British Virgin Islands have also enacted economic substance legislation, though the implementation details have not been announced yet. Once these become known, the countdown will start for offshore companies there as well. ♦ Can Tax Havens be Rooted Out? Late last year, talk of pending “disaster” began to make the rounds in the Taiwanese overseas investor community. Certified public accountant Lin Yishian, an EY Taiwan tax services partner, points out that some Taiwanese investors use offshore companies for transfer investments in European subsidiaries, oblivious to the possible pitfalls. When the company has been set up, they find that they are not able to open a local bank account. Lin has also come across a Taiwanese company that shipped goods to an Italian customer but was not able to receive payment in the offshore location. When the Italian customer’s bank found out that the recipient was an offshore company with a Hong Kong bank account, they suspected money laundering. Therefore, they demanded that the Italian customer provide the Taiwanese offshore company’s taxpayer identification number. However, since the Taiwanese company had never paid taxes in the Cayman Islands or British Virgin Islands, it could not provide a tax ID. Eventually, they had to provide the account of a Taiwan-registered company to be able to receive payment. That the Caribbean tax havens would move to implement economic substance legislation was foreseeable for quite some time. The initiative came after the Organization for Economic Cooperation and Development (OECD) and the European Union (EU) joined hands to crack down on tax avoidance and evasion by multinational companies in tax havens. In December of 2017, the EU announced a blacklist of international financial centers that failed to meet economic substance requirement, and agreed to apply sanctions at the national level. Last month, the original 2017 blacklist of non-cooperative tax jurisdictions was expanded from five to 15, including Belize, Bermuda and Samoa, which are popular offshore locations in Taiwanese business circles. “The global trend is to make it impossible for every single individual around the world to hide money for which taxes have not yet been paid,” explains Kevin Wang, principal with the Taiwan branch of international law firm Baker McKenzie. Moreover, the Cayman Islands was not the first tax-free jurisdiction to take aim at offshore companies. “Customers will ask me, ‘Where else can we go?’ and I tell them: ‘There are no more tax havens,” Liaw states in unequivocal terms. At its investor conference last month, Chailease Holding Co. Ltd. was asked by institutional investors how economic substance legislation affected the company. Finance Accounting Officer Chen Wen-cheng replied that the company would rent premises and hire employees in the Cayman Islands. Cayman Islands-incorporated Chailease has returned to Taiwan, listing as an F-share. The holding company has subsidiaries in Britain, China and Taiwan. More than 100 companies with a similar holding structure are listed on the Taiwan Stock Exchange as F-shares. Accountants generally agree that F-share companies will bear the brunt of the new requirements because they are already listed on the stock exchange, so they are unlikely to transfer shares. However, if a Cayman Islands-incorporated company is a pure holding company the problem is not that serious, because all it takes is money to hire a local outsourcer to bring the company into line with the new rules. And how much will that cost? The answer is anything starting from ten times more than before. In the past, Taiwanese letterbox companies paid annual fees to the tune of US$1,000 to US$2,000. After the new legislation went into effect, lawyer and agent fees soared to between US$20,000 and US$50,000 as the Taiwanese companies now need to file for income tax every year and submit board meeting minutes to meet legal requirements. Most affected by the new global rules of the game are most likely Taiwan’s small- and medium-sized enterprises and family investment companies. In the eyes of accountants, listed companies are comparatively transparent because they are obliged to announce financial statements and investor information. On top of that, the National Taxation Administration has been cracking down on transfer pricing within corporate groups for years, so that listed companies who leave their profits in offshore companies are being fined for tax evasion and avoidance. 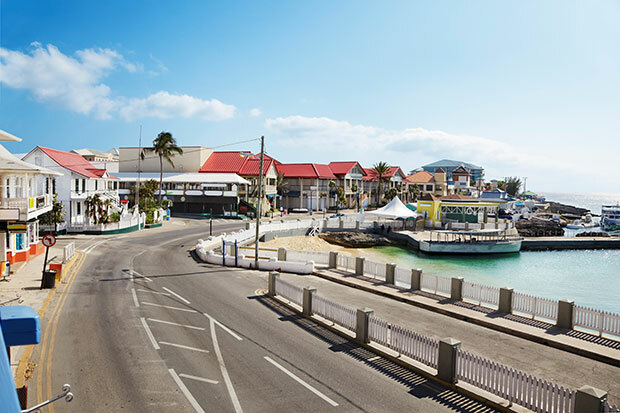 Against this backdrop, privately held businesses, wealthy clans and individuals, whose investigation present a bigger challenge for tax auditors, have become the main target of economic substance legislation in the Cayman Islands. Liaw cites an example to illustrate the effect of the new rules. First, say a Taiwanese SME makes NT$100 in profits but keeps NT$50 of this profit in an offshore company. In the past, the company would never pay tax on the money stashed away offshore, where it remained hidden from tax authorities. In the future, the offshore company will have to file an income tax return in the Cayman Islands, which will expose the money flows and lead to a higher risk of having to pay tax on this income. Liaw warns entrepreneurs that, since there is no total solution, they will need to find the least costly solution using the elimination method. The Cayman Islands government exerts relatively little supervision over pure holding companies. But she suggests that Taiwanese entrepreneurs who have used offshore companies in the past redirect orders or receive IP licensing fees, or as a finance company, perhaps leave the territory and give up the offshore model. Speaking before more than 100 Bank SinoPac VIP customers, Chiu Pei-kuan warns that, in the short run, companies might be able to come up with certain approaches to meet economic substance requirements in tax havens, but in the long run, they won’t get around paying taxes. “In the future, not paying taxes at all is impossible, but it will be possible to pay a little less,” says Chiu. With tax havens becoming increasingly unattractive, tax-conscious Taiwanese entrepreneurs are suddenly touting Hong Kong as their new favorite. “A first wave of Taiwanese entrepreneurs who wanted to comply with economic substance standards before such legislation was introduced have already relocated to Hong Kong,” observes EY Taiwan’s Lin. Hong Kong is so popular because, even if taxation is not the issue, Taiwanese companies still need to set up offshore companies for certain purposes, such as absorbing Chinese capital. For instance, when a Taiwan-based company wants to carry out a capital increase with a capital contribution from a Chinese investor, the deal needs to pass a strict review by the Investment Commission under Taiwan’s Ministry of Economic Affairs. If a China-based company is used for the capital increase, the Taiwanese shareholders might be at a disadvantage in the event of a dispute. Therefore, using a third territory like Hong Kong for a capital increase is seen as the safest option as far as the Taiwanese shareholders are concerned. 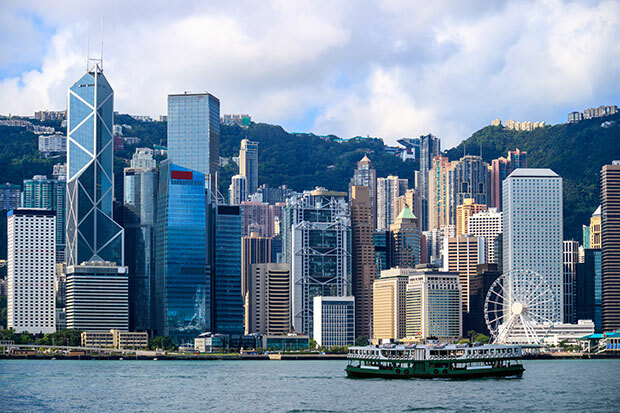 The international finance hub of Hong Kong is also attractive for Taiwanese companies because it is geographically close, and many Taiwanese investors have been conducting business there for a long time. Moreover, the territory taxes business income at a moderate rate of 16.5 percent, while exempting overseas income, and has signed double taxation agreements with more countries than Taiwan. Many accountants expect a massive business closure or merger wave among offshore companies. Lin warns that investors need to heed additional tax liabilities when they decide to dissolve or liquidate an offshore company. If the company behind the offshore unit is a Taiwan-based enterprise, Taiwan will levy a securities transaction tax of 0.3 percent on the gains. But if the underlying company resides in China, a 10-percent withholding tax on indirect equity transfers by non-resident enterprises might apply. In the past, accountants, bank managers and lawyers did their best to help clients legally minimize tax payments, urging them to open companies in tax-free jurisdictions to move assets overseas. Today, their role has completely changed as they have begun to patiently convince clients to obediently pay taxes. In contrast, companies that act as agents for offshore companies have been howling with anger as they see their traditional line of business in jeopardy. “The situation now resembles Darwinism. You can only go along with evolution; it is not possible to use previous structures to do business now in this era,” notes Liaw. After the Lunar New Year, the unmistakable message from the far-flung Cayman Islands would seem to warn Taiwanese companies and wealthy individuals who have long counted on not being caught: The world of secret money you have envisioned no longer exists!